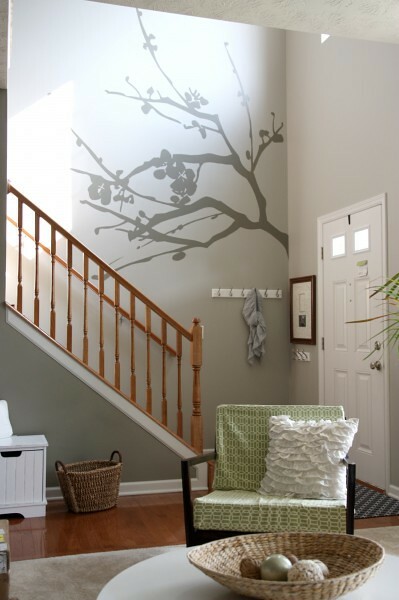 I'm usually not a fan of wall murals, but this cherry branch silhouette over at House Tweaking has changed my opinion. Dana and her husband created it using an overhead projector. Apparently I've been living under a rock, because I just discovered Dana's blog today after Apartment Therapy posted her house tour. Here are some other great spaces from her home. Oh I've been a huge fan of Dana's for some time now. 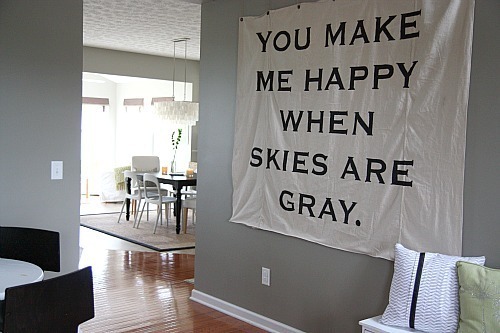 She has done some beautiful things to her home and I love the eye candy! I love her house! 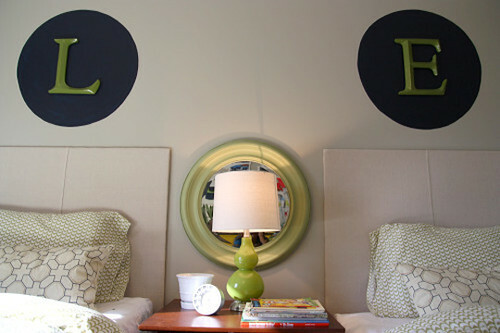 The only thing I think I would change is that cute round picture right behind the lamp, I want to see it better. 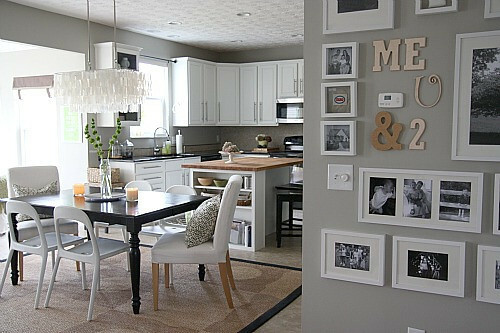 LOVE the fixture over her dining room table. So creative! love that cherry branch and dining room chandelier, gorgeous.